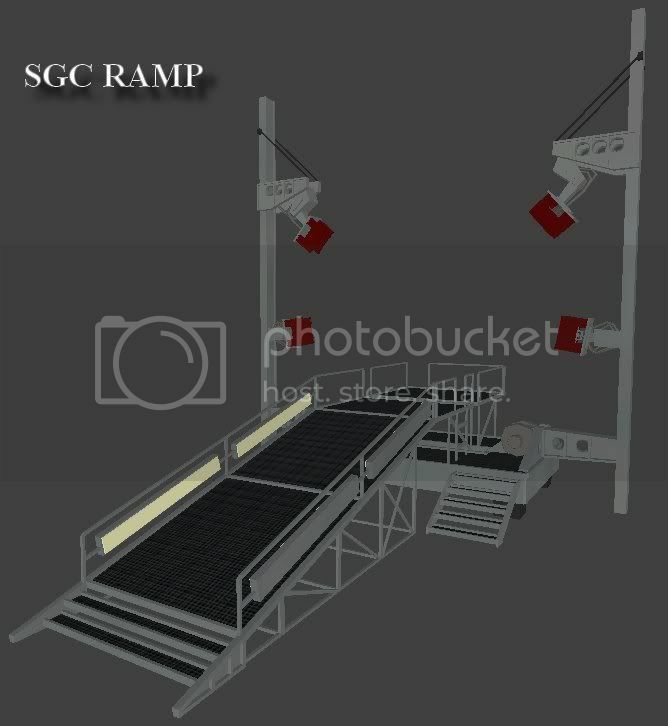 Here are some shots of my SGC Style ramp. 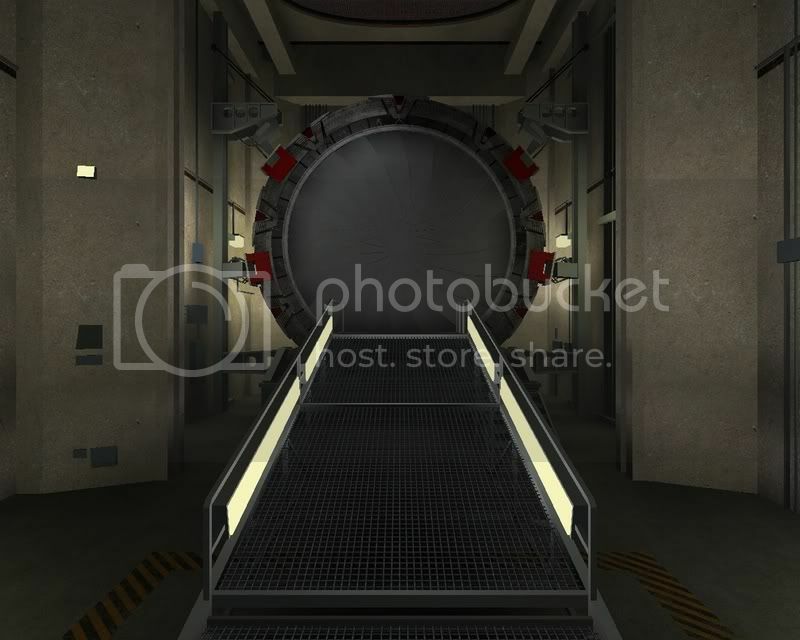 I looked on StargateCaps.com and it shows that the shaft only covers right above the gate. So we are both correct! lol I need to make it bigger, but it does not cover the entire Gate room. That is a great ramp and would really add to SGC roleplay, nice work! wow! I love the saft! will we be able to open the top? I am also guessing we won't be able to move the gate XD but ya. Will there be an outside to the sgc? Perhaps in time. 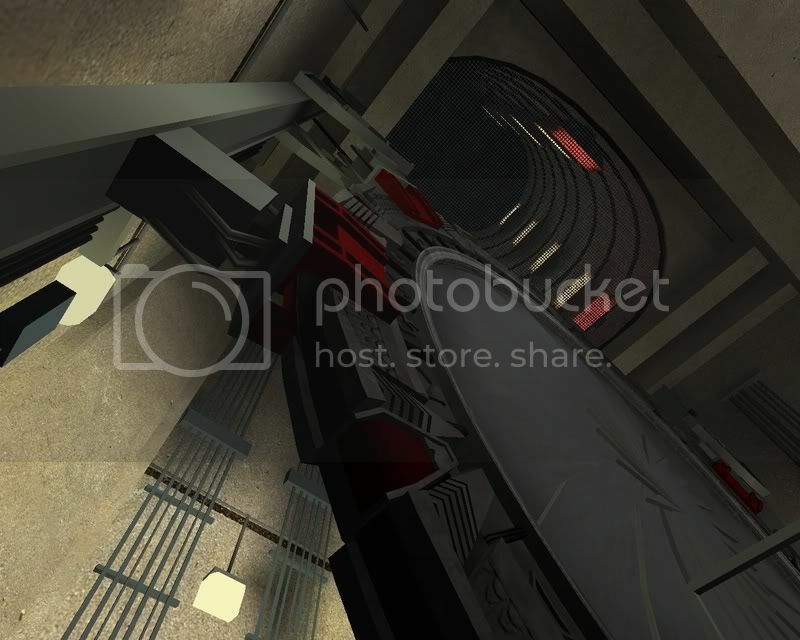 right now I'm working on Off world locations, and Jack is heading up the SGC/Atlantis base projects. So you'll have ot ask him. this sgc is my own I've worked on in spare time. Nice Xain, you guys should make it where if you take a Jumper, it automatically raises it and descends it to the gate in SGC and Atlantis. Also, are all the offworld and SGC/Atlantis locations like, together, one map, or are they all separate, I suppose it would take a much more sophisticated game like HL to make a DHD you dial one glyph at a time. You could make it where if you press a certain side of the DHD (shout out to Stargate Beta Site Map) it dials a certain planet, and when you walk through, it loads a new map, woah that's a mouth full! You mean by pressing one glyph, it's sets off the rest of the address? Because that'd be pretty uber! 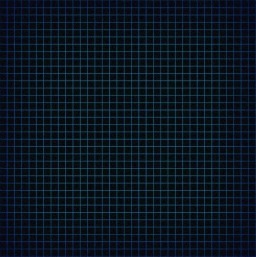 if you don't make the levels to big, about medium size you can fit 2 or 3, maybe 4 worlds in there. Atlantis and the SGC are heavily detailed and you'd be lucky to get both of them in the same Map, so there off worlds will probably be less fantastic as each other. I am able to have atlantis and the SGC in the same map. Ive done it and it will be a map to play. As for other worlds i would think 1-2 offworlds with sgc or atlantis. Ok everyone, lets try and stay on topic as best we can. If there is something you want to talk about then make a new topic for it. lol wow cam your a nerd! XD hehe good luck guys! Straight up Amy, but I've only known Stargate for a year or so, someone's gotta cram all the SG genre info they can, I'll be sure to leave behind a repository of all my knowledge! WoW. Respect man. What program are you modeling with? Ok tnx. I'll look for the stuff. lol, I did it all in brush work on GTK, then converted it to ASE.